The YWCA knows that in order to lead the charge against racism, we must also set the example within our own organization. That work culminated in the addition of “elimination of racism” to our mission statement in 1970. It is our goal to foster opportunities to engage in open dialogue about race and racism, increase awareness, build coalitions, and transform inequities. For the last few years, we have partnered with the University of Evansville and Ivy Tech Community College to present the annual Stand Against Racism on both campuses. Activities included live monologues, a documentary film screening, panel discussions, community partner presentations, and a diverse group of community members standing together to take the pledge against racism. In recent years, over 90% of women and children served by the YWCA had incomes below the federal poverty level, the equivalent of about $24,600 a year for a family of four. We work to address the unique needs of those living in poverty and strive for outcomes that increase emotional and economic self-sufficiency. We do this by providing our clients with housing, access to health care, financial literacy classes, GED services, and counseling. The YWCA also has an ongoing commitment–truly a mandate of our mission–to provide leadership development opportunities to women and girls. YWCA supports women’s economic empowerment and a work and family agenda. Women comprise more than half of today’s workforce. One in four women are now the sole or primary breadwinners for their families. An overwhelming majority of mothers with children under 18 years of age or working. Women of color are overrepresented in low-wage industries that lack basic workplace protections. There is no doubt that women are central to the economic well-being for their families and play a critical role in our nation’s economic prosperity. Despite this, 21-century workplace policies are out of date and do not adequately support a woman’s ability to balance work-family demands. All women and their families would benefit from family friendly policies such as paid sick days, an increase in the minimum wage, and fair scheduling practices. Each year, the YWCA partners with a local organization to raise awareness about pay equity through our Equal Pay Day activities. This date in April represents how far into the year women must work in order to earn what men earned in the previous year. According to the most recent statistics from the U.S. Census Bureau, the median earnings for U.S. women working full time, year-round were just 80% of men’s median earnings–a gap of 20%. The wage gap in Indiana is even worse than the national average with women earning just 74% of what men earn. 2. Make an effort to get to know people different than you. Look for things in common with other people and celebrate the differences. We can learn from and appreciate something about everyone. 3. Learn about other people and their culture. By learning about other people, your life will be greatly enriched and your appreciation for your own culture will deepen. 4. Think before you speak. Words can hurt, whether you mean them to or not. When describing a person, think if mentioning their race is important to the story. Do you refer to everyone from South or Central America as Mexican? If you don’t know someone’s country of origin, don’t assume. Some people prefer Black, while others like African-American. Some prefer Latino/a, others like Hispanic. If you’re unsure which to use, ask. It’s important to use the correct language. 5. Be a role model. Be vocal in opposing discriminatory views and practices, especially with friends and family who respect your opinion. Don’t criticize, but help educate others about issues and about your own experiences. 6. Don’t make assumptions. Stereotypes hurt everyone. Examine what your prejudices are and make adjustments to look at everyone as an individual. 7. Explore the unfamiliar. Attend an organization meeting, religious service or travel to a new region where you are in the minority. For example, if you are Christian attend a Jewish service at a synagogue. If you attend a predominantly white school visit a multi-cultural school. This first-hand experience can be enlightening and give you perspective. 8. Work on projects with members of groups different from your own. Working as an equal alongside others from different groups on a common project is one of the best ways to undo prejudice and increase familiarity with others. 9. Be a proactive parent. Expose your children to diversity at a young age. Read stories that explain the point of view of other groups. Discuss TV shows, movies or books that present stereotypes. Children can benefit from knowing other children from different groups at very early ages, before prejudices and biases are formed. 10. Support anti-prejudice and anti-racist organizations. Whether your efforts are in volunteering, financial donation or being an advocate, working with other groups working toward the same goal can be beneficial to you and the community. You’ll meet great people and find real support for your efforts. By getting involved, your voice can make a big difference at the local level. 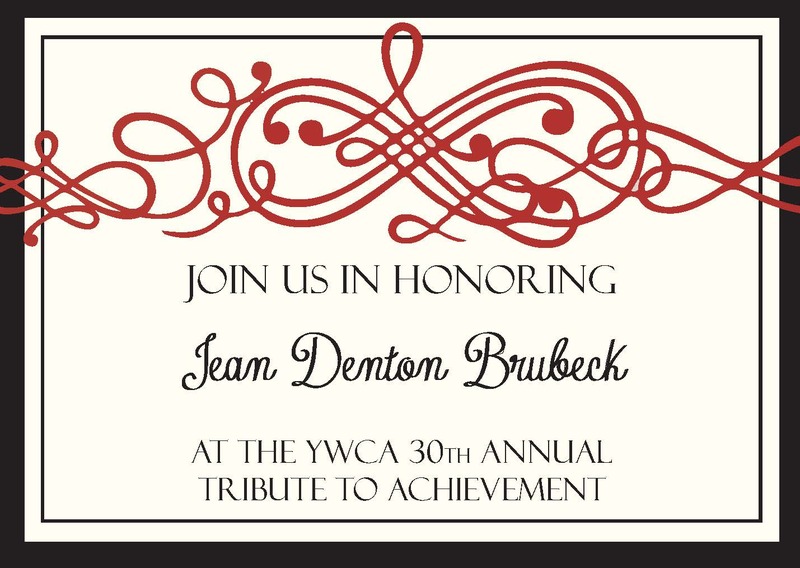 Become a member of the YWCA!